I just want to thank everyone for the well wishes! Adrian and I are fast approaching our 1st year blog anniversary and we want to do give-away's and just share this fun time saying we appreciate you! This year has truly been a learning experience. I have learned for sure there is definitely a lot of talent in the blogging world. I thank you for sharing that talent with me. 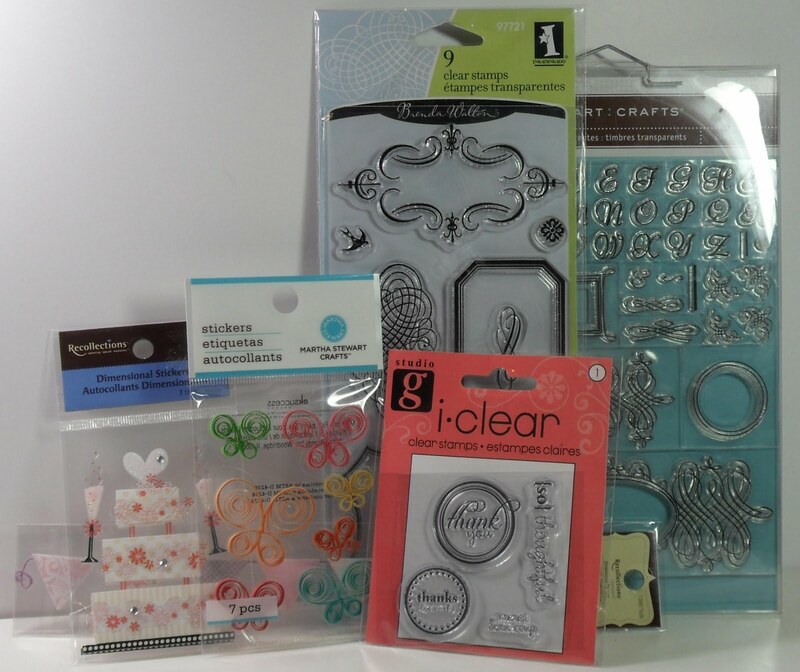 You help me become a better cardmaker/crafter. I made this card with Everyday Cricut. I made a blue Gypsy! I know, I know there are no blue jackets or blue gypsy's, but a girl can dream can't she? As I mentioned before I love the color blue. This card definitely speaks for me. I love my gypsy. I don't know how I ever crafted without it (lol). Well, yesterday Adrian of by Adrian 4 U showed out with her digi card (You Go Girl!!!). It is so much fun having a Partner in Crafting! It just adds so much fun to card making/crafting. So now it is my turn to post and so with that said you must leave a comment (be a follower) so that one person will be the lucky winner of the blog candy, but most of all I definitely want you to know that you are appreciated. I love reading your comments, I love the emails you send thanking me for comments (not necessary-'cause I love viewing and seeing what you've created). It has definitely been a pleasure making cards and then being brave enough to show them on a blog (lol). I hope you enjoy the card I posted. Comments are welcome. You have until June 19th, 2011 to leave a comment under this post for a chance to win on both of our blogs. Enjoy and GOD Bless! P.S. Please don't forget to stop by Adrian's blog and show her Blogaversary love!!! Happy Blogaversary!!! Your blog and projects are wonderful. I enjoy stopping in! I love your blue gypsy:) It would be fun if it would come in different colors, ha? I think mine would probably have to be pink or lime green~thanks for a chance on your great giveaway! Happy blogaversary to you and Adrian too! Your card is very cute, love the embossing! !How funny that Adrian and you share the same blogaversar!! 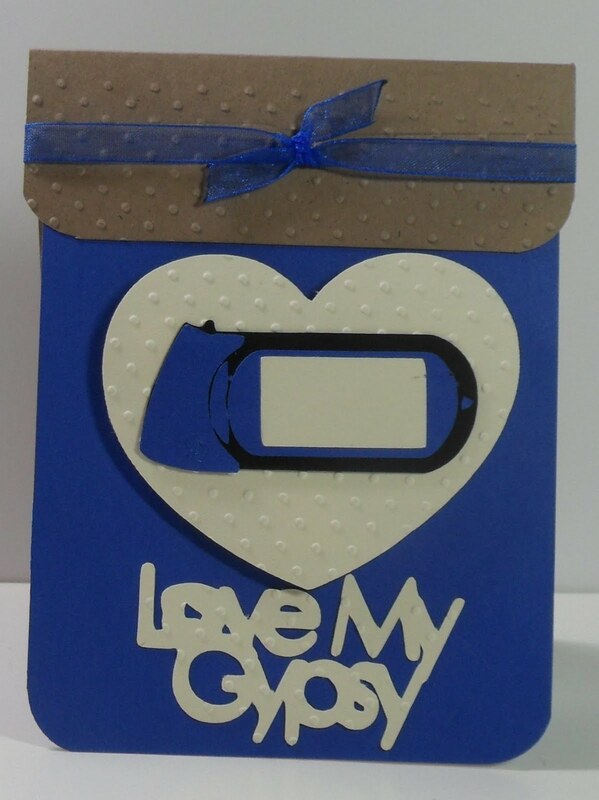 Love your card and bet it will not be long and cricut will have the gypsy in all colours! and then what will we do! LOL! Happy Blog Anniversary to both of you. Happy Blogaversary. Love your cute card. TFS. Great card! Congrats on your anniversary! Your blue Gypsy is adorable! I keep hoping they will make a purple skin for mine :) Maybe someday we'll both get our color wishes. Lots of LOVE DIANA L.
Happy Blogaversary!! Love the card!!! Congrats to ya!! Your card is very cute, I am so happy to have you as one of my favorite bloggin buddies!! Thanks so much for giving me the chance to have a crack at this wonderful blog candy! 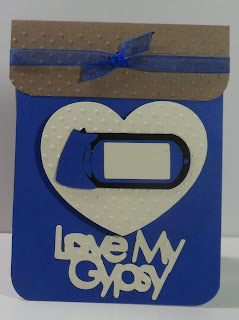 Very cute card and I love blue too! Happy Blogaversary and I can't wait to see more of your work! Hope you have many more! hahahah I LOVE this card!!!! Hi Gloria, Happy Blogaversary!!! I lover your cards and your blog I always stop by!! What a cute Gypsy!!! Thanks for all of the inspiration and for always commenting on my cards!!! Congrats on your Blogaversary! I agree with you! They need more Gypsy covers! Thank you for sharing your cute project! Very cute!! I am just learning to love my gypsy, and have been enjoying it! Very cute card I just love my gypsy,I don't leave home without! I love my gypsy too! Cute card.